Donna has specialized in eye-protective methods from 1994,and established business relations with more than 60 countries,and been lauded for impressive quality and sun protection.We're professional in R&D,manufacture and business on high quality glasses, including sunglasses,optical lens.Design, technology, and craftsmanship have made Donna sunglasses sought-after accents. 2.Why Donna is your choice? Donna sunglasses will protect your eyes and block that eyeball-searing ultraviolet (UV) light.The sun gives off UV radiation that you can't see or feel. In small doses, it boosts vitamin D. But too much of it can cause problems like sunburn and other skin problems. It can also damage your sensitive eyes. A pair that doesn't fit well can let UV rays seep onto your skin and into your eyes. Donna sunglasses can provide great coverage. They can also keep out sand and allergens. Those things aren't good for your eyes, either. Stare from glare? Ask about polarized lenses to reduce or eliminate harsh glare. 1)Using Eyeglass Cleaner Solution and a Microfiber Cloth.Spray both sides of each lens with the eyeglass cleaner.Hold each lens with a microfiber cloth (specifically made for eyewear). 2)Washing lenses with soap and water or your own cleaning solution. Avoid adding other household cleaning products, such as window cleaner. 100% UV PROTECTION - Protect your sensitive eyes from harmful ultraviolet rays that will wrinkle eyelid skin and damage vision.Broad-spectrum protection sunglasses can block UV rays,and keep your eyes healthy and bright. HD POLARIZED LENSES - Reduce glare at the beach, in the snow,or out on the water. You'll gaze at the splendor of the world better through this military and pilot style sunglasses. ADVANCED HIGH QUALITY MATERIALS - Lightweight and durable. Barrel hinges are easy open and close for both small face and big heads. Molecular bond provides a scratch-resistant coating for lenses.Comfortable integrated nose guards. WONDERFUL OCCASSIONS WITH DONNA - Such as driving,walking,fishing,reading and other activities! 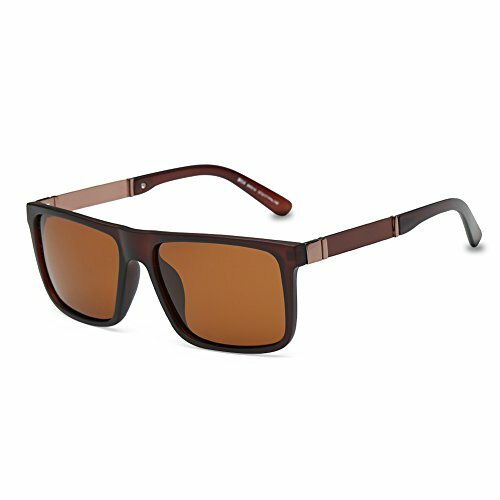 Delicate package makes this fitover sunglasses a great gift for your friends and family. 30 DAYS MONEY BACK GUARANTEE - If there's any questions,Please don't hesitate to contact the seller of Donna,Donna will try best to provide the 100% satisfaction. If you have any questions about this product by DONNA, contact us by completing and submitting the form below. If you are looking for a specif part number, please include it with your message.